(Reuters) - - Britain's economy kept up healthy momentum during the third quarter, but this may prove a high watermark ahead of Brexit, official figures showed on Friday. Gross domestic product in the three months to September was 0.6 percent higher than in the previous quarter, matching the consensus forecast in a Reuters poll of economists, figures from the Office for National Statistics (ONS) showed. Compared with a year earlier, the economy stood 1.5 percent larger. But in September alone, it stagnated for a second month running, compared with forecasts for a rise of 0.1 percent. The figures showed trade contributed strongly to growth over the third quarter. Business investment, however, contracted unexpectedly at the fastest pace since early 2016, adding to signs of rising caution among companies ahead of Brexit in March next year. Business surveys covering the last month suggest growth looks likely to slow sharply in the final months of 2018, as a boost to consumer spending from warm weather and the soccer World Cup fades away. Still, Friday's data are likely to reassure the Bank of England, which last week forecast quarterly growth of 0.6 percent over the third quarter but a slowdown to 0.3 percent in the final quarter of the year. 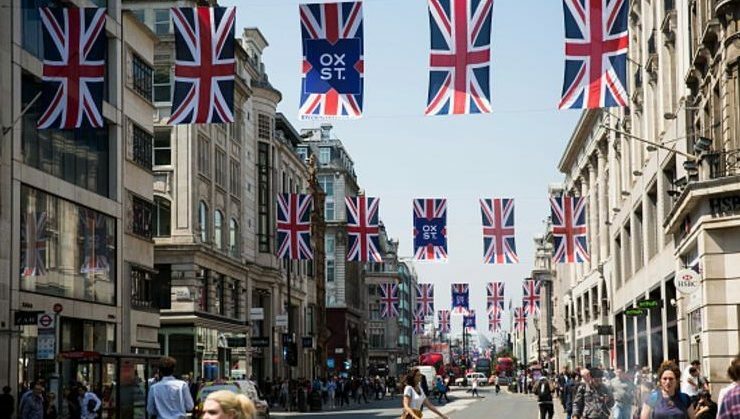 Britain's economy slowed after the June 2016 Brexit vote, its growth rate slipping from top spot among the Group of Seven group of rich nations to jostling with long-term laggards Japan and Italy for bottom place in the rankings. Consumers in particular were squeezed by the jump in inflation which followed the pound's tumble after the referendum, especially as wages have failed to keep up. That said, in recent months an unusually warm summer encouraged many to splash out on drinks and pub and restaurant visits. Household spending remained solid, expanding 0.5 percent after a 0.4 percent rise in the second quarter. Trade contributed 0.8 percentage points to Britain's economic growth rate in the third quarter, the biggest boost since early 2016 and reversing a large drag in the previous quarter. Business investment however contracted by 1.2 percent on the quarter, compared with forecasts for a 0.2 percent rise. Investment has contracted now for three quarters running.